b5Studio: Clean up this mesh! I cannot take credit for their creation. 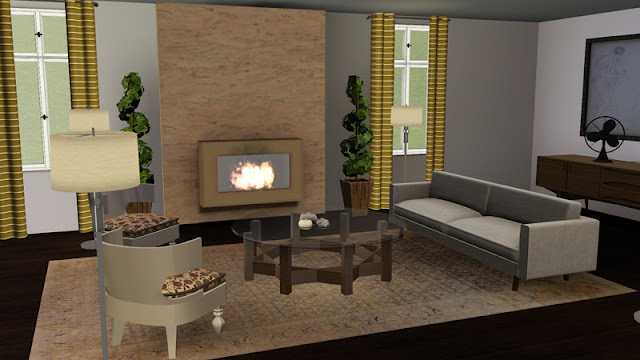 These meshes are freebies from the web. and a French Mid Century Modern Floor Lamp. with a fixed texture. Honest, it's really fixed. so many (many) months ago. the lazy mess EA released. Ditch the ones you don't want. I'm swooning over the coffee table... LoL, Justin Bieber, that's probably the post of the day! I love the cleaned up texture on that bed. I have used in my game, but wonder WTH when I would finish CASting it. Thanks alot! Thanks RD - I love that table too - I think I drooled a bit when I saw it was a free 3d model! 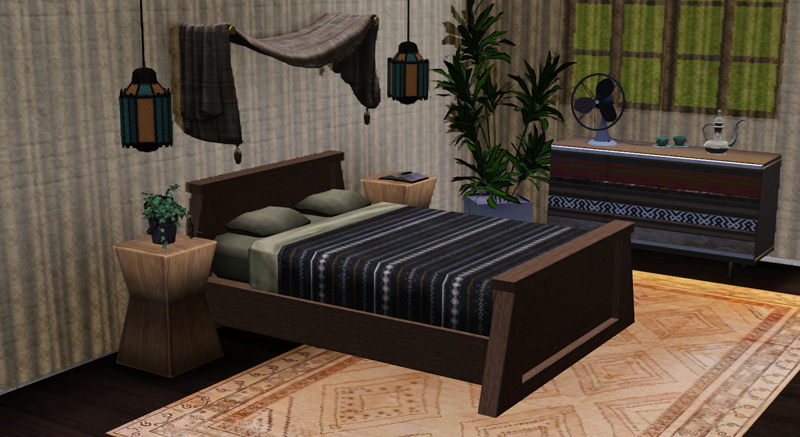 B - you would not believe how lazy EA is - the bed is a clone on the brass double bed - they never bothered to change the textures - crazy! Just a friendly, miniscule feedback. I used the bed in my game, and when the Sim used it, the covers were literally floating up in the air, and stayed there 'till I had to delete the bed out of the household entirely. 'Sides that lot, the lamp and coffeetable are lovely in the game, and they CAS perfectly. Thank you Courtney for that feedback - not sure what to say . . . it's an EA mesh cloned onto the same bed they cloned. Sadly, it cannot be opened, fixed and closed - it needs to be remade as a fresh clone. Anyone else having this trouble? It might not be immediately, I need to do some research, but I will let you know what I come up with . . . where there are animations involved this is a little beyond my current understanding and it is very possible a step was missed. Courtney - I think I may have found the problem, but I need to test it in my own game before I upload it for an official V.2. I have cloned the bed to a different base - the colonial bed. When examining the original bed file, it was cloned to the brass bed - but the brass bed had a different number of 'low detail' groups. The colonial bed has the same number of groups - they were just in a different order. A lot of reorganizing and hopefully this fixed it. Thank you again for letting me know there was a problem. I will post my findings after testing. Thank you again Courtney - what a gaff on my part! I hope this fixed the problem. Not a problem, and thanks for taking time to look into it! Thank you satedaner - I am learning shadow 'baking' and hope that future releases will look significantly better than what I have currently released for objects. 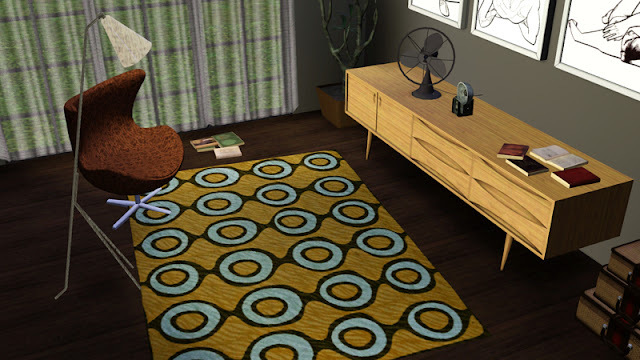 Mid-century is an especially interesting period for me in design so you can count on future items in that genre! Hi. My apologies but I have been looking high and low for that dresser in the photo with the Luxor bed. Rubika had it on her blog and now I see it on yours! Where can I download it? I would just like to say thank you because your downloads are unlike anything I have found in the community. I love the realistic and cultured style of your creations please keep them coming!!! Charting New Territory . . .